This little piece of brown and black obsidian needle came out of the tumbler looking like a dolphin! To some people it looks like a bird. Not having a way to drill a hole in it I wrapped it around copper tubing with 24 gauge copper wire. For added measure I also used E6000 glue in between the dolphin and tubing. 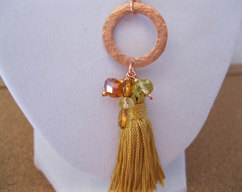 The leather cord ends are hand-wrapped with copper wire and closed with handmade copper clasp and jumprings. 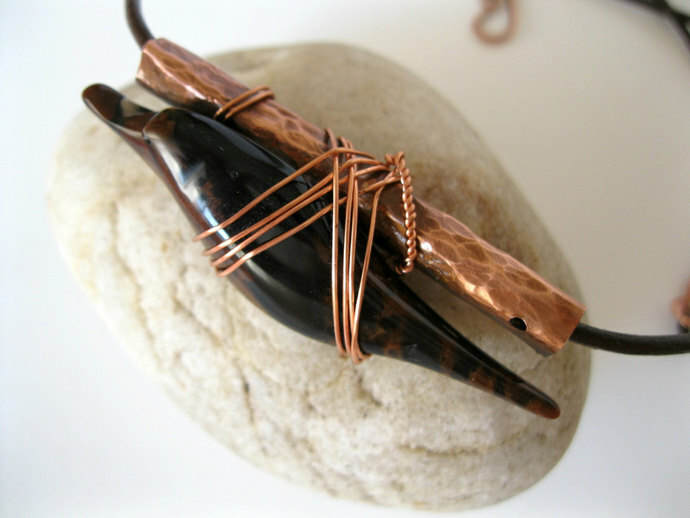 Obsidian is believed to reduce the pain of arthritis, to help joint problems and to ease cramp. It is also said to aid digestion. 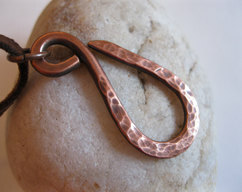 Copper is also known to ease arthritis and stiff joints. If the necklace is worn on a regular basis, at least once a week, clean the obsidian to rid of negative energies by either placing it on a crystal lamp, outside in the sun or wiping it down with a wet cloth. 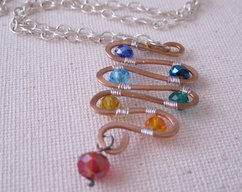 Beautiful gift for dolphin or bird lovers!